This sleek onyx hue liner is ideal for creating impressively dazzling eyes instantly. The tiny felt tip brush allows you to precisely line eyes effortlessly. 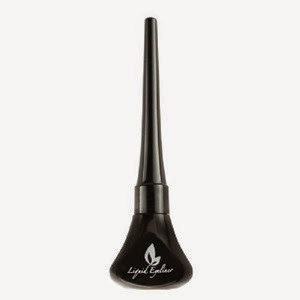 The formula dries quickly and lasts all day without smudging, smearing, or fading away. 25% off with code liner25off until 3/5/15. My thoughts: I have used it a few times and I like it. I like that I can switch between liquid and regular eyeliner now that I have a few options! This fifteen-minute beauty mask brightens and smooths skin with the exfoliating power of Alpha Hydroxy Acids, while moisturizing with luxurious honey extract. It instantly renews skin, leaving it refreshed and clean after only a few minutes. 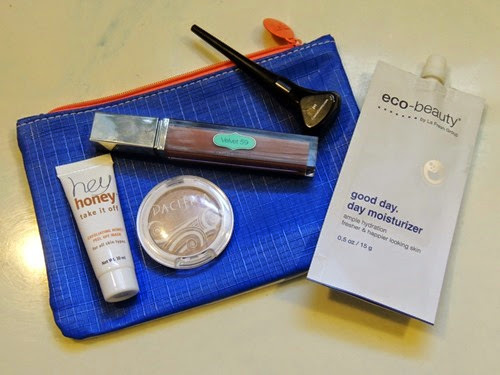 20% off with code IPSY20 until 3/31/15. My thoughts: I haven’t tried it yet! I used to enjoy using facial masks occasionally, so I hope to try this one soon. 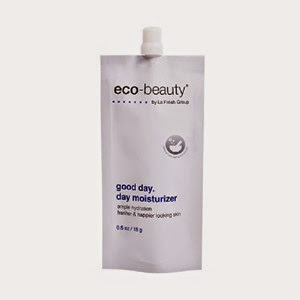 This highly natural day moisturizer provides ample hydration and helps bring back a fresher & happier looking skin appearance. 30% off with code IPSYJAN15 until 2/28/15. My thoughts: I haven’t tried it yet! I want to though! An incredibly innovative formula that pushes natural makeup and mineral color to new bounds. Rich, lasting, creaseless eye shadows are infused with coconut water for a velvety, cream-like finish. 20% off with code NewBeauty until 2/28/15. My thoughts: I have used it a few times. 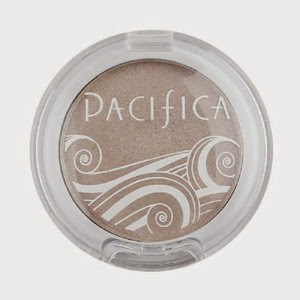 I have received this brand of eye shadow before but I like this color better than the one I got last time. 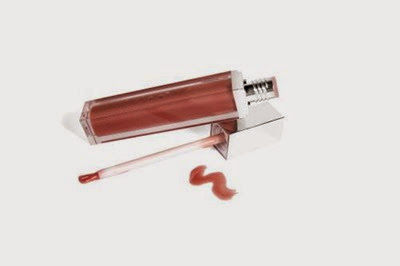 You will fall in love with the Velvet Rose Lipgloss. It’s radiance and lustrous consistency makes your lips not just look but smell as fabulous as the classic rose. 50% off with code 50offvelvet until 2/28/15. My thoughts: I like the color, as it appears natural on my lips. Once again, I pay $10 a month for these bags. I love seeing what comes my way each month! The value received this month was $46.44, a nice value! My favorite item is the eye liner.